Sling bags are trendy and they are an absolute choice for the traditional occasions. 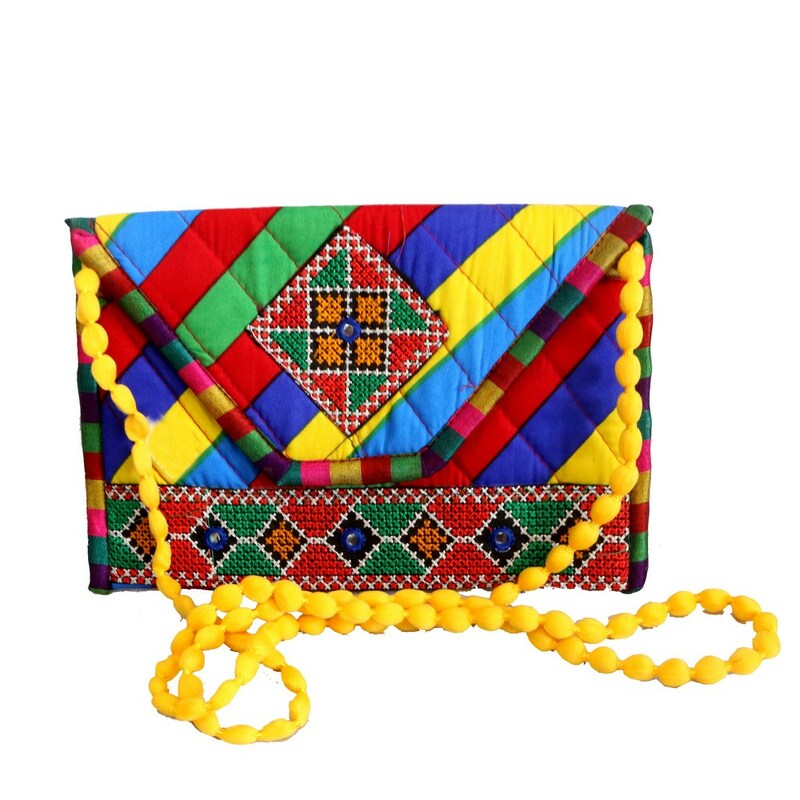 This bright and gorgeous looking small sling bag in the form Read More..of a clutch is all set to sync with traditional apparels. Undoubtedly western outfits can also be complemented well with this one. Show Less..